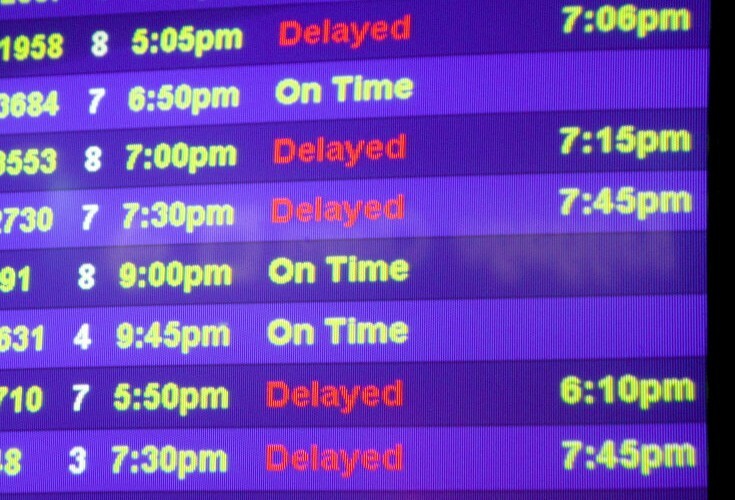 More than 20,000 flights have been canceled due to Hurricane Sandy, and masses of travelers are still trying to make their way home. But it could take weeks before air travel is back to normal. Airports in the Northeast are still reopening. (LaGuardia just opened for business today.) Plus, flight crews and planes need to be repositioned for normal operations to resume; this certainly won’t happen overnight. If you’re still waiting to get on that plane, here are six things you need to know. Keep up with airline updates on Twitter. Most major domestic carriers keep their Twitter handles updated with relevant flight and airport information. Facebook is often another good source. If you had to cancel your nonrefundable hotel room due to Hurricane Sandy, you might be able to get a full refund, despite the property’s standard cancellation policy. Some hotels have changed their cancellation policies due to the storm. Be sure to call yours and ask. Vacation rentals site Homeaway has set up a group forum dedicated to finding housing for those displaced by Sandy. If you need shelter (or have shelter to offer), check it out. Need a place to stay? Call your hotel to see if it’s offering any deals for travelers seeking shelter after Hurricane Sandy. For example, Kimpton Hotels in New York City and Boston are offering 20 percent off room rates for those who book with promo code SANDY. Most airlines have extended their flight-change policies through next week. Check your airline website to see if any updates have been made. Know your rights. If you’re stranded, save your receipts for your hotel room and transportation, and check your airline’s contract of carriage to see if you’re eligible for assistance. Those traveling on flights originating in the European Union may have different passenger rights than domestic travelers; it’s all outlined in the contract of carriage.